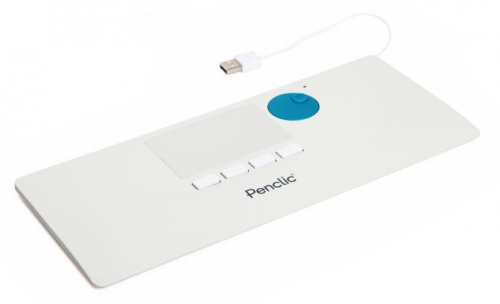 Penclic NiceTouch is an easy to use touchpad and hand rest combination. It's designed to be the perfect partner to the small and sleek Penclic Mini Keyboard. Penclic NiceTouch provides high end functionality together with an ergonomic working position where the hand rests easily on the soft surface. The NiceTouch touchpad combined with smart Scandinavian design brings you comfort and efficiency while you work. It is modern keyboard technology and simplicity at its best. 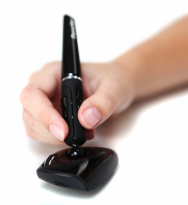 Penclic NiceTouch features the intuitive touchpad, Quiet-Touch keys and a distinctive scrolling ability. The key to a healthy working position is a variety in body movement and a centered working position for your hands and arms which reduces and prevents pain problems like RSI. It is the comfortable hand rest, the touchpad and the scroll wheel combination that gives you that great centered working position. "The best way of preventing RSI is to change the working position of your mouse. Work in front of your body and close to your keyboard! " 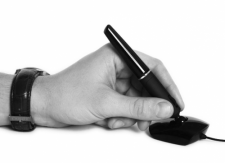 There are no complicated movements necessary to operate the Penclic NiceTouch. It offers a familiar way to work and helps centre your working position. It no longer needs to be extremely expensive to get ergonomic computer accessories. The straight forward approach is what makes this touchpad and keyboard combination a great option to prevent RSI and comfortable way of working when spending long hours in front of the computer. Integrated touchpad 85 mm x 51 mm | 3.3" x 2"
0.21 m + 1.4 m cable | 8.25" + 55.12"
How do I get Penclic NiceTouch to work with my computer? Simply connect the Penclic NiceTouch to the USB port on the back on your Penclic Mini Keyboard C2 or to your laptop/stationary computer. The driver installation starts automatically and wait until the driver is 100% installed before using the NiceTouch. Which operating systems does Penclic NiceTouch work with? The supported platforms for Penclic NiceTouch are all operating systems that support HID 1.1. These includes Windows XP or later, Mac OSX version 10.1 or later and most Linux/BSD flavors. MAC operating systems do not support all the special functions. What features does Penclic NiceTouch have? It is a slim, 5 mm in profile and rest and central pointing device. It has a centred touchpad 85x51mm. 4 buttons, left, right, backward click when browsing, tap on/off of touchpad. Plus an intuitive scroll wheel. Do the NiceTouch have any extra functions? Buttons 1 and 2 can be programmed after preference. What do the LED on the NiceTouch indicate? The LED will turn green to indicate it has power. How long is the cable for the NiceTouch? 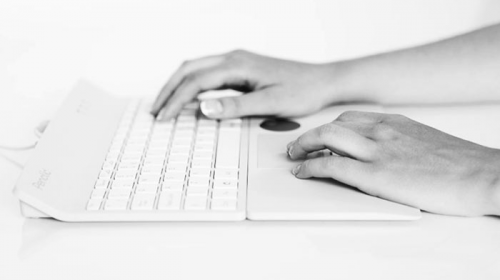 The cable for the Penclic NiceTouch is 0.21 metres in length for a perfect fit to the Penclic Mini Keyboard. There an extra 1,4m cable if you wish to use Penclic NiceTouch with your laptop or stationary computer.